Coming into a new role or new organization can be uncomfortable. Over the course of my career, I have experienced a very poor as well as a first-class new-employee orientation, also known as onboarding. Larger organizations tend to to this better than start-ups and it sure makes a huge difference. Helping a new person (youth or adult or family) become part of the group is vital to the groups long term success. Sharing expectations, helping them meet the team, helping them get the resources they need, helping them figure things out, and helping them know what success looks like is the difference between a high performing organization and a low performing one. In the corporate world, Human Resources (HR), Corporate Trainers, and Managers help with this process. 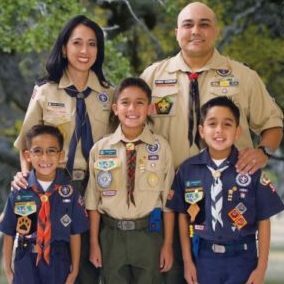 In Scouting we don’t really have this role or process defined. Having processes and people committed to helping these people will really make a difference in your organization. There are 3 great related articles at the bottom of this page, that help help give you some ideas of how certain organizations do this. Here are some questions to ponder? How would helping new people to get up and running affect your Scouting organization? How would having a documented set of steps (processes and systems), help you do this? Which processes (steps) do you have in your unit that help new boys, new adult leaders, new families, and new youth leaders to welcome them and help them be successful? What could you do to help improve the experience of new people in new roles? Could you see that having a system could help your Unit or organization?